Coming Events See What's Coming Up! 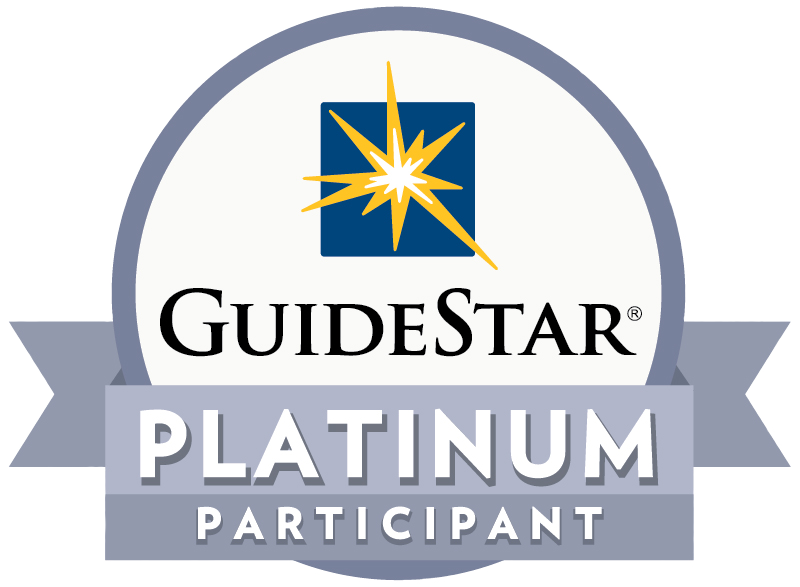 Join us for a super fun evening on April 27th from 6-10:30pm at our Hearts in Hollywood event. Enjoy casino gaming, fantastic entertainment by Super Tall Paul, Tapas, Beer and Wine. This is a unique and fun event hosted by Ride On Board Member, Tim Meissner at his eclectic and beautiful home! 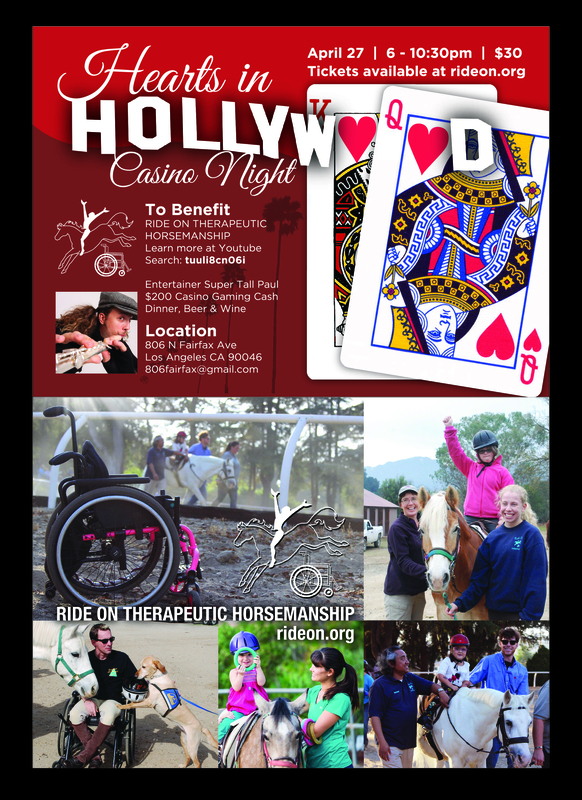 Practice your casino game skills while benefiting Ride On! Tickets are only $30 and are available to purchase. Street parking is available. 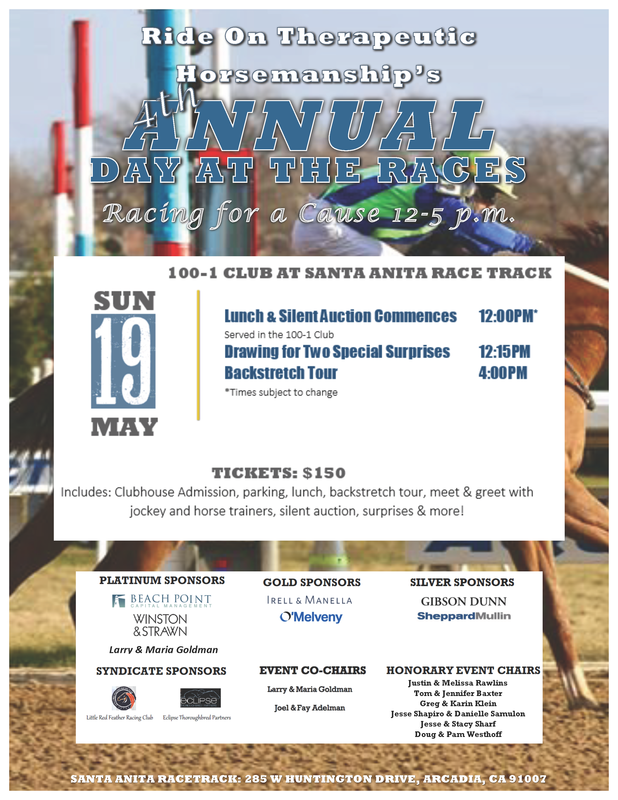 Join us for an exclusive afternoon in the 100 to 1 Club at the Santa Anita Racetrack for our 4th Annual Day at the Races. We have some exciting new additions to our event this year including the chance for a few guests to watch a race from the announcers booth with new track announcer, Frank Miramadi. 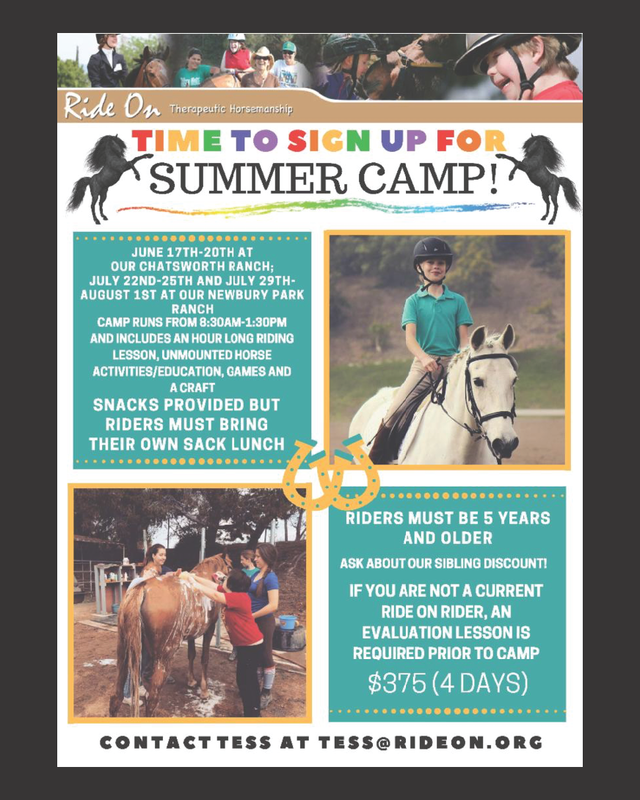 Tickets include Clubhouse Admission, parking, lunch, backstretch tour, meat & greet with jockey and horse trainers, silent auction, surprises & more! Event begins 12:00pm. Dress : Smart Casual. Throughout the day there will be the opportunity to visit and ask questions of trainers, a jockey, and others in the horse racing industry. 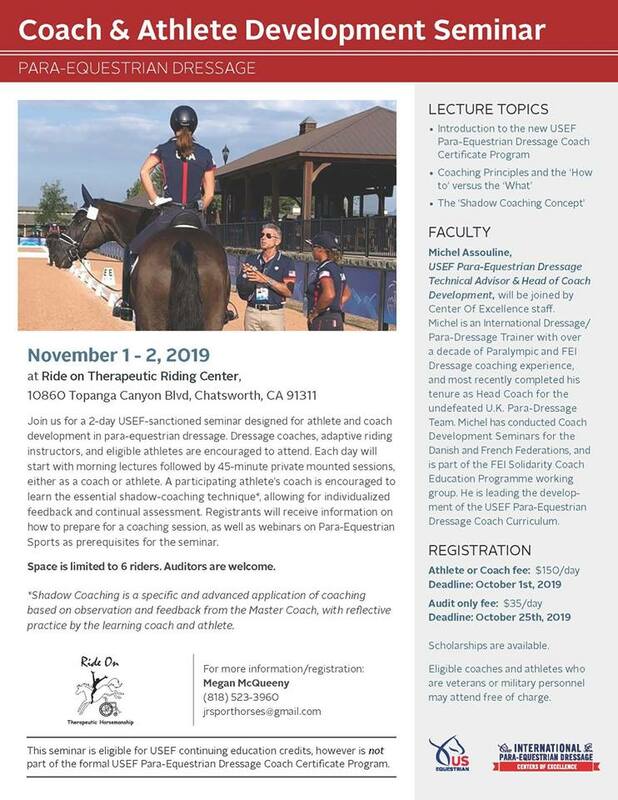 Join us for a 2-Day USEF sanctioned seminar designed for athlete and coach development in para-equestrian dressage. 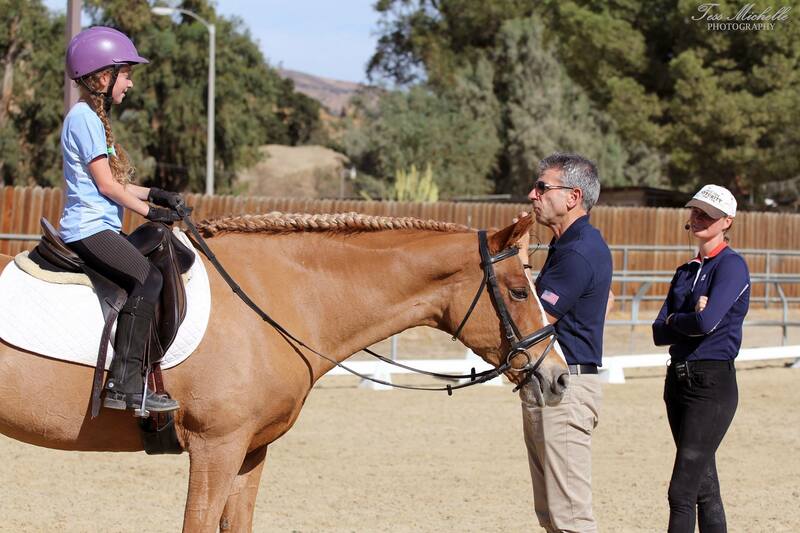 Dressage coaches, adaptive riding instructors and athletes are encouraged to attend.